It has been reported today that the European Commission is concerned about the use that is being made of patents essential to the 3G mobile communications standard in the context of the ongoing legal battles surrounding the smartphone technology markets. The Commision has confirmed that it has addressed requests for information to both Samsung and Apple, but it has not yet provided any further details. 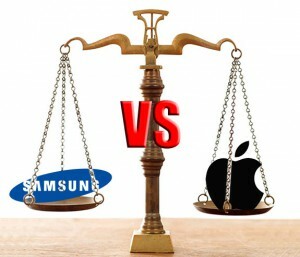 A legal filing by Apple in the U.S. nevertheless reveals that this preliminary investigation on the part of the Commission may be targetting a possible abuse of FRAND (Fair Reasonable And Non Discriminatory) licensing agreements on the part of Samsung, which in the recent past has initiated a large number of proceedings against Apple in several jurisdictions. This is not the first antitrust investigation regarding anticompetitive behavior related to enforcement, use and misuse of patents undertaken by the EU Commission (think, for instance, about the Qualcomm or Astra Zeneca cases), and it certainly won´t be the last. Patent wars may be a newcomer in the antitrust world, but they´re here to stay. By the way, I´m very fortunate to be -together with Miguel de la Mano (Deputy Chief Economist at DG Comp and currently Acting Chief Economist at the UK´s Competition Commission), Hans Zenger (CRA), and Renato Nazzini (LMS and Southampton University)- part of the team that is currently should be drafting the chapter on Article 102 for the next edition of the Faull&Nikpay (which, as you know, is one of our favorite books), and given the rise of IP-related abuse of dominance cases we´re planning to devote a specific section to these issues.